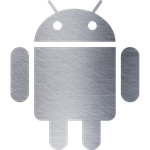 We first reported on Android Silver back in April this year as an attempt by Google to premiumify Android phones with more Google branding and stock software in partnership with OEMs and US carriers. The program was supposed to launch early next year, and according to our source, would even entail custom retail booths in carrier stores, supplied and funded by Google. Google would also provide marketing assistance, customer support, and help carriers with sell-through, providing employees training on selling and teaching customers how to use Silver devices.